I have a K-1 fiancé visa. How do I adjust status? As a K-1 visa holder, it’s very important that you marry your U.S. citizen fiancé within 90 days of entering the United States. It’s equally important that you adjust status to permanent resident (apply for a green card) if you intend to stay in the United States. Any dependent children that came to the U.S. with a K-2 visa must also adjust status. U.S. immigration law requires you to marry the U.S. citizen who petitioned for you within 90 days of your admission to the United States in K-1 status. If you fail to marry, you will become removable from the United States and cannot adjust through any other means. You may choose to cancel the wedding, but you must depart the United States. You may stay in the United States permanently once you have married and file an adjustment of status application. Generally, you should apply for adjustment of status of status as soon as you marry your fiancé and before the 90-day period ends. It is possible to adjust status after the 90 days. However, you will accrue time in an unlawful presence and the adjustment of status application becomes a bit more complicated (and expensive). The K-1 visa has not expired. 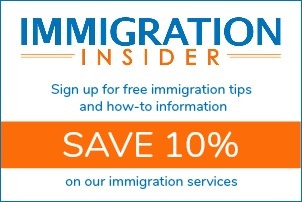 After filing Form I-485, do I need to maintain my nonimmigrant status too? Can I come to the U.S. for the purpose of adjusting status? Do you have a sample affidavit of birth? What is acceptable evidence of birth to submit with Form I-485?